Monday, James Anaya, the UN Special Rapporteur on the Rights of Indigenous Peoples, issued his highly anticipated report on "The situation of indigenous peoples in Canada." Professor Anaya has reported a broken relationship between the federal government and Indigenous peoples, which is mired in distrust. He highlighted a serious and persistent crisis in outcomes for Indigenous people in this country, and the fact that the steps taken by the Conservative government to date have failed to address this crisis. The lagging education outcomes persist unchanged, housing shortages have reached crisis levels, water and waste water systems are at the breaking point and the tragic gaps in Indigenous health outcomes are continuing unabated. When talking about the unacceptable wellbeing outcomes for Indigenous peoples, Professor Anaya noted that during the years the Conservatives have been in power, "there has been no change in that gap." Although First Nations have made meaningful strides to improve education, a lack of proper resources and systemic structural problems in the First Nations' education system have severely limited their progress. Unfortunately, the Conservatives' recent legislation was unilaterally developed and will do little beyond entrenching what has been government policy for the last 30 years. Although they have changed the name of the bill to suggest actual control is being transferred to First Nations, the Minister retains extensive powers to intervene in the administration of First Nations' schools. First Nations' education reform must recognize First Nations jurisdiction, deliver a comprehensive approach to protect language and culture, include an effective mutual accountability framework and adequate, sustainable and predictable funding. Most importantly, it must be co-developed with First Nations and part of an ongoing and meaningful dialogue with First Nations communities. Bill C-33 does not meet these essential criteria for success. Responding to Professor Anaya's claim that Indigenous housing is in crisis, the Parliamentary Secretary for Aboriginal Affairs bragged that his government had built "11,000 units of housing" on reserve since coming to power. He failed to mention that funding and target levels pre-dating his government should have built more than 18,000 units between 2006 and 2014. Those targets did not even account for an additional $295 million over five years committed in 2005 by the previous Liberal government to further improve on-reserve housing. Their own 2011 federal evaluation of First Nations housing identified a shortfall of 20,000 to 35,000 new units and the AFN has identified a gap of as much as 85,000 units. Unfortunately, the Conservatives have no plan to deal with on-reserve overcrowding and dilapidated housing, which the Special Rapporteur characterized as a "crisis." Their answer to crumbling First Nations' water systems was to simply push through legislation that downloaded more responsibility and liability onto First Nations communities, without any additional resources to actually address the problems. The Conservative government has engaged in a cynical and unilateral approach that has badly damaged the relationship between the Crown and Indigenous peoples in Canada. The government's stubborn refusal to fulfill its legal obligation to consult with Indigenous peoples on matters that may impact their inherent and/or treaty rights cannot continue. The result has been both an erosion of goodwill and bad public policy. This should not be a partisan issue. This is about rebuilding the trust between Canada and Indigenous peoples in this country. As Indigenous people in Canada have made clear, "nothing decided about us without us." Unfortunately, the government's answer to the assessment of, among others, Professor Anaya, former Conservative Minister Jim Prentice and their own Special Envoy on West Coast Energy Infrastructure that it has failed to adequately consult with Indigenous peoples regarding resource development is that the status quo is doing the job. The government told the Special Rapporteur that, "the duty to consult and accommodate in connection with resource development projects can be met through existing processes, such as the environmental assessment process." Aside from the fact that Bill C-38 gutted that assessment process, it is not acceptable to deal with this Constitutional duty as an afterthought in a regulatory process designed to address other issues like environmental impacts. The result is that too many resource development projects are moving forward without Indigenous people receiving a fair share of the economic benefits or being engaged as partners in their development. It also means this issue repeatedly ends up in the courts where Indigenous people are consistently winning. This approach not only undermines the honour of the Crown, but is expensive, time consuming and simply bad economic policy. Professor Anaya also forcefully reinforced the overwhelming consensus in Canada on the need for a national public inquiry into the ongoing tragedy of missing and murdered Indigenous women and girls. 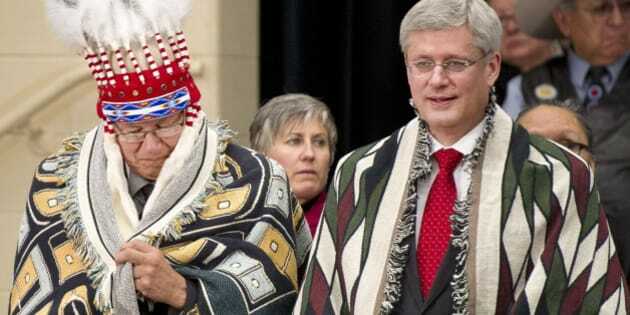 He echoed the demands for an inquiry by the grieving victims' families, Indigenous leaders, and all of the premiers. This horrifying situation was already a crisis when the Native Women's Association of Canada identified almost 600 cases in 2009 and recent statistics compiled by the RCMP have doubled that estimate, identifying approximately 1200 cases. This epidemic of violence must end and this Conservative government, which claims to be tough on crime and to stand up for victims of crime, cannot continue to ignore this national disgrace. One immediate way to begin to restore the broken trust with Indigenous peoples would be to immediately implement the Special Rapporteur's recommendation for a national public inquiry. This report is an important external review. At only 26 pages long, it has the additional possibility of providing all Canadians with a readable summary of the current situation and clear recommendations for what Canada needs to do to improve things. I urge every Canadian to take the time to read it -- it is a great way to "Idle KNOW More." These are not just Indigenous issues. They are issues that the 96 per cent of the Canadian population who are non-Indigenous need to understand so they can add their voices to demand the government implement Professor Anaya's recommendations. The Conservatives need to heed the UN recommendations to authentically reset the relationship by engaging in a true partnership with Aboriginal communities to make urgently needed progress on the appalling conditions for far too many Indigenous people in Canada.